Darcye, my Dark One, finished her championship at 12 months. She was a multiple group placer during her time in the ring. Darcye is the dam of three litters producing my first Tri English Setter, Ella, who lives in BC. Her son, Plaisance Prince Gaspard, is Plaisance's first Agility champion. Her son, Ch.Plaisance Lord Hopedale finished his CKC title on a Group 1 win on August 5, 2012. Her daughter, Joy, GCh. 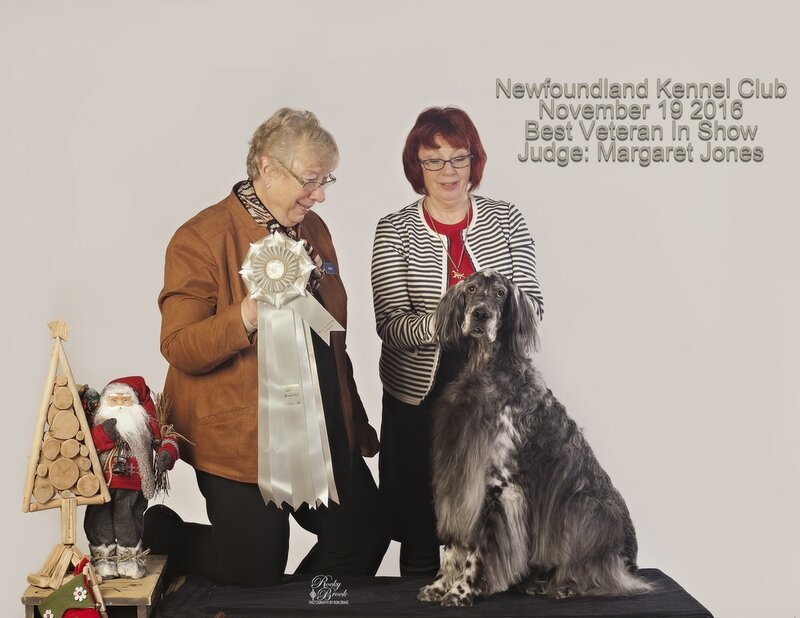 Plaisance Marquise Joyeuse attained her CKC Grand Champion title in 2016. Darcye had some fun in the ring in 2016 winning Best Veteran in Show twice at the NKC shows in November and again in the AKC shows in May 2017. Darcye crossed the Rainbow Bridge just a few days before her 12th birthday.